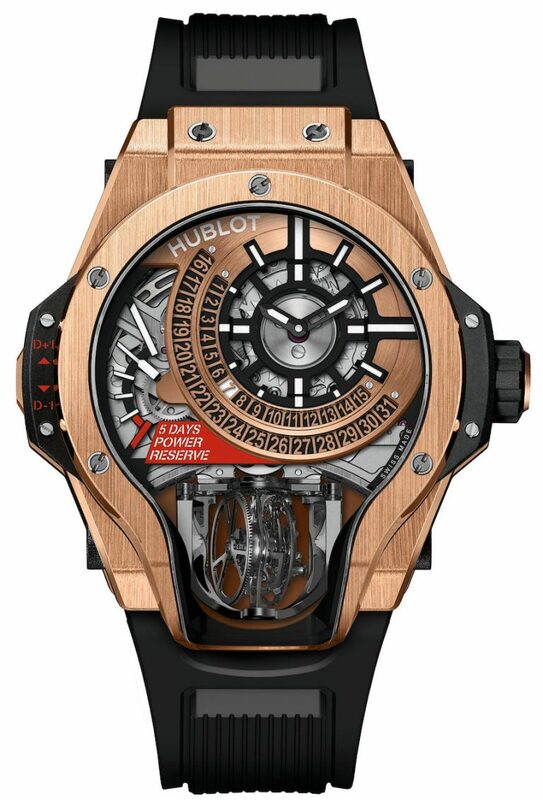 The renowned Swiss watchmaker has unveiled the magical Hublot MP-09 Tourbillon Bi-Axis at Baselworld, the latest addition to the company’s Manufacture Piece (MP) collection. 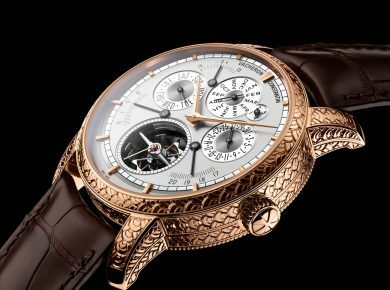 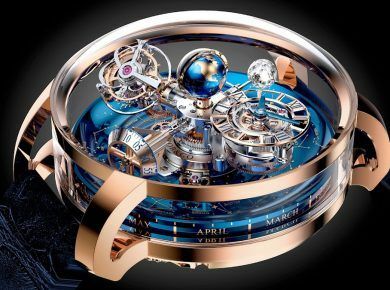 The Swiss watchmaking masters have imagined a unique 3-sided sapphire crystal case for this exquisite timepiece, meant to offer us maximum visibility of the magic show within. 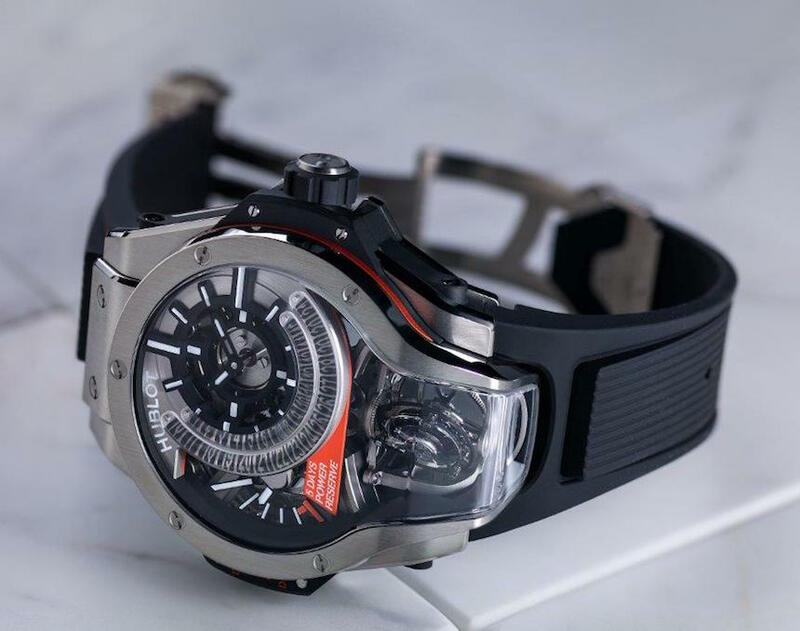 The result is an incredible display of innovation and fine craftsmanship and we’re sure that wearing this beauty around your wrist will prove to be a great conversation starter. 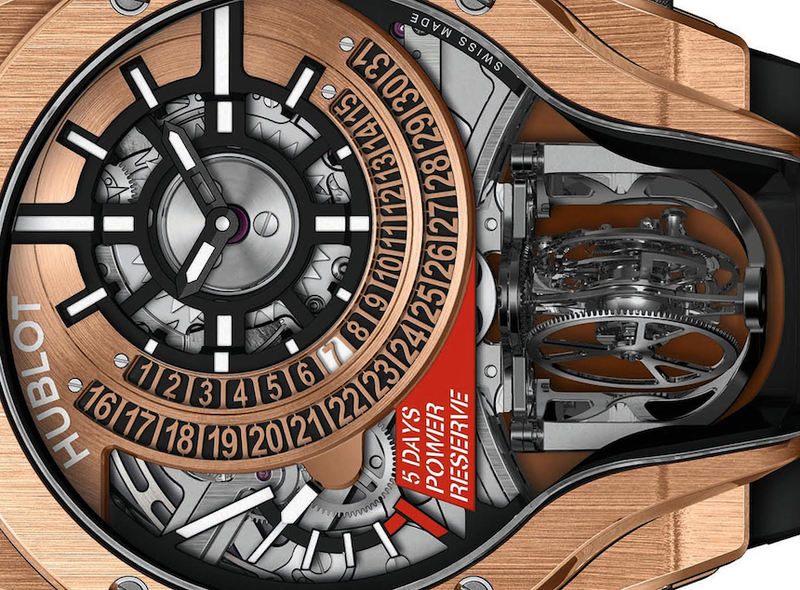 But you should know that only 50 titanium pieces and 20 King Gold units will be ever sold, adding exclusivity to the stunning appeal of this watch. 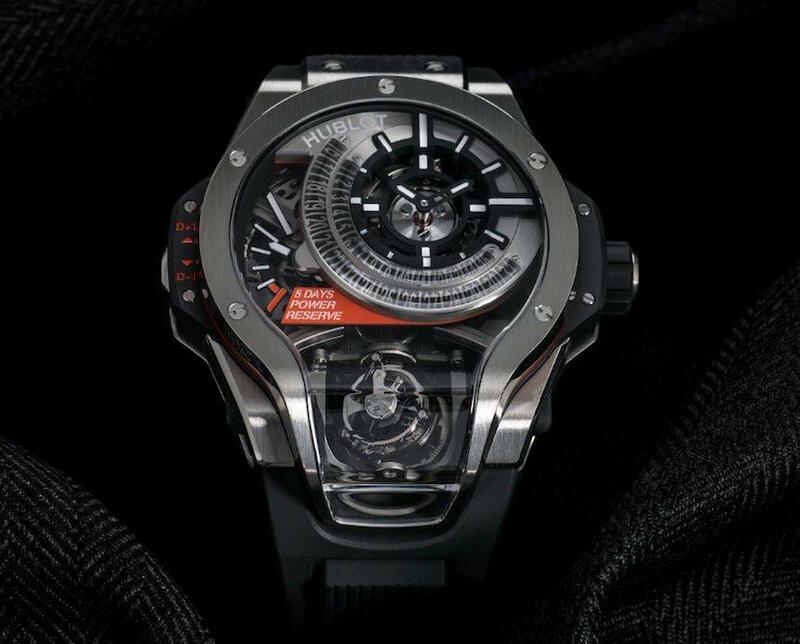 The Hublot MP-09 Tourbillon Bi-Axis features a 49 mm case, promising 30 meters of water resistance and superb finishes all around. 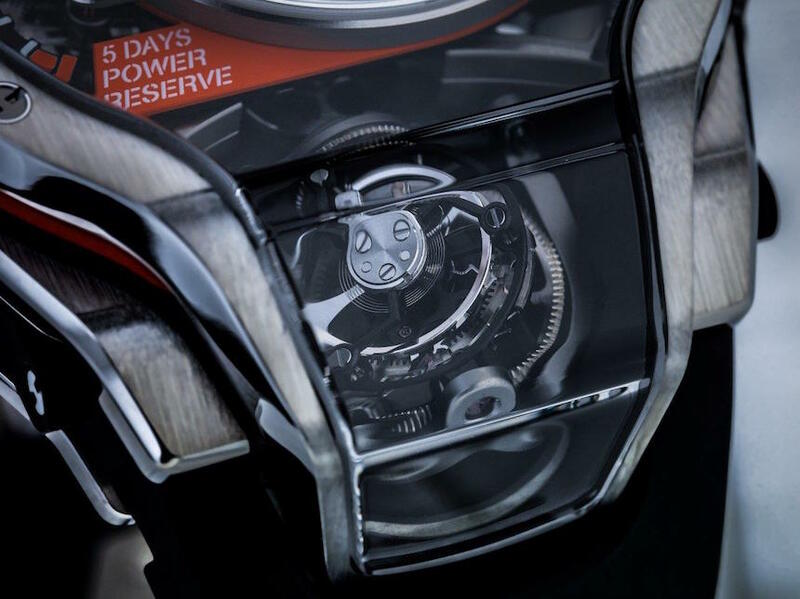 At its heart you’ll find a new 43-jewel caliber called HUB9009.H1.RA , an impressive self-winding movement benefiting from 5 days of power reserve. 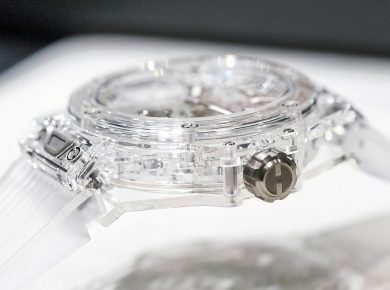 Luckily, we are able to appreciate it to the fullest thanks to the sapphire case back, which reveals a few secrets of this watch. 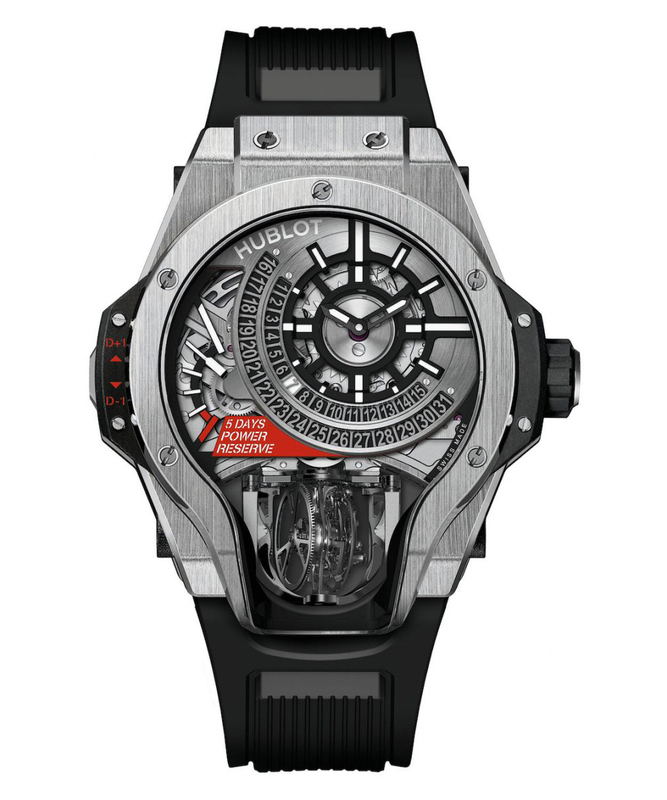 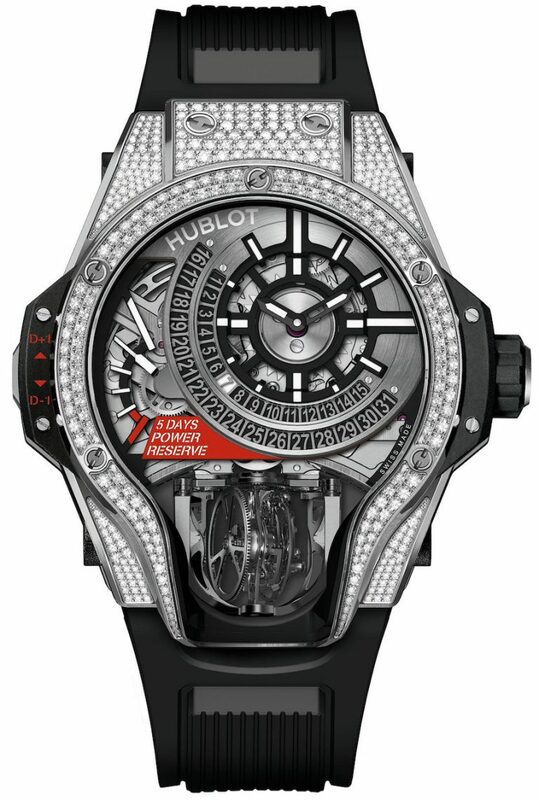 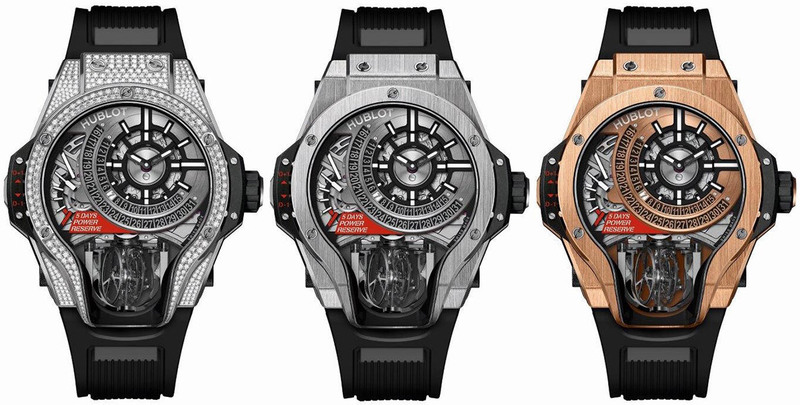 Both versions of the Hublot MP-09 Tourbillon Bi-Axis were finished off by a patterned black rubber strap, with a matching deployant clasp in either titanium or King gold. 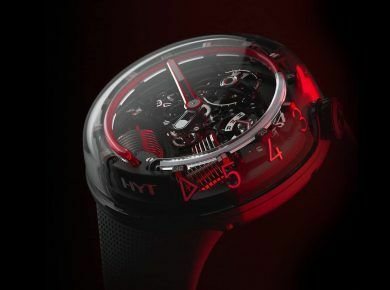 Obviously, this is not your everyday time teller, which is why the titanium model is priced at a cool $169,000; you could also go for a titanium pavé version, that’s priced at $190,000, while the King Gold version will set you back exactly $211,000. 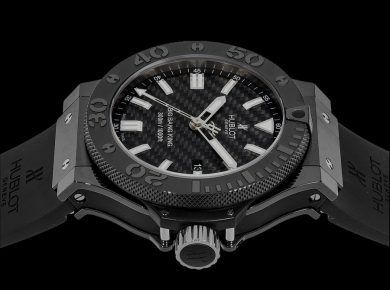 And don’t forget to check Best Black Watches for Men.